Beach grass narrowing the view of Bandon Dunes hole 15, a dangerous par 3 with a very deep bunker that will swallow up any shots just a little short and to the right front of the green. 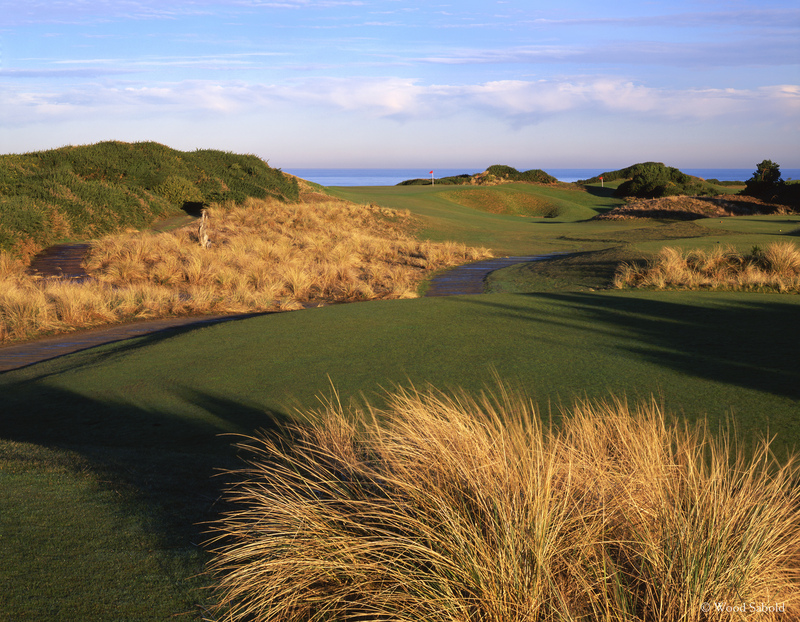 The Pacific Ocean is beyond as well as the flag of the oceanside hole 12. Architect, DMK Design.